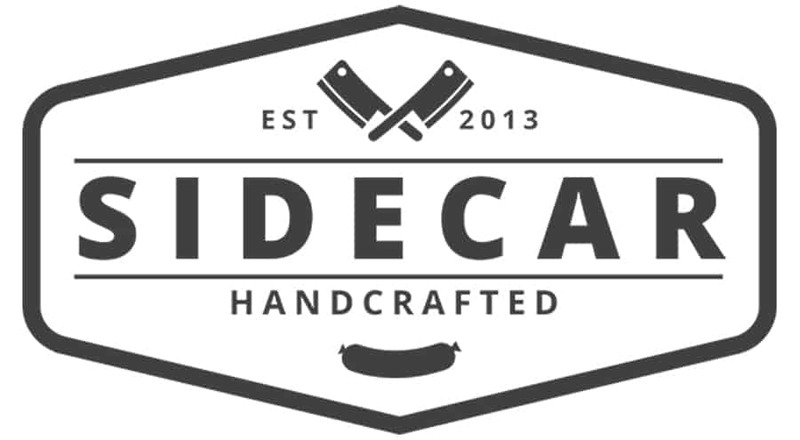 Sidecar Sausages – Hand-crafted artisan sausages. The team at Sidecar are a group of passionate food professionals dedicated to offering up great tasting products that are also good for you. Calling upon production techniques now lost in a world of mass-produced, highly-processed commodity items, we prefer to do things our way, the old way, celebrating flavour and production techniques that make the taste the champion. Whilst also heralding flavour, we also are dedicated to offering our products devoid of artificial flavours, colourings or additives. We choose not use preservatives, extenders, stabilisers, or added nitrates. None of our products are made with commercial premixes. We prefer to rely on our in-house master blenders to honour the craft and make them old-school. Taking it further, we do not use nuts or gluten to make our products accessible to those with allergies. Staying true to our all-natural, full-flavoured, hand-crafted promise – it what does not go in that makes our products shine. We source our raw materials from fully accredited HAACP partners, drawing on international and local sources, where possible. We use fresh ingredients as much as we possibly can and try not to over process these ingredients, where flavour and nutrition is often lost. We do not use preservatives, instead prefer to snap freeze our products, locking in flavour and keeping them at their best. We suggest defrosting in the refrigerator the day of consumption. We pack in small 500g portions, vacuum sealed, and expressly frozen. We take quality assurance very seriously, and ensure every batch produced is taste tested before being released for sale. Our facilities are fully accredited with the Singapore AVA to an export-level standard. Our facilities are fully temperature controlled in meet the highest food-grade standards. This coupled with our years of experience give us the confidence to stand behind each and every one of our products.